Evictions are at an all-time high. Pulitzer Prize-winning sociologist and mass eviction researcher Matthew Desmond placed the number at 2.3 million for 2016, offering a combination of reasons: Soaring housing costs coupled with flatlining incomes have come together to make rental properties that much more unaffordable to average families. More than ever, families are squeezed between the income they produce versus the rent and housing costs they must meet. In other words, the climbing eviction rate is unsustainable. Though there are economic and structural reasons for this uptick, there are also tangible steps that landlords can take to attenuate that rise — effective ways landlords can avoid evictions. Evictions are not only destructive for tenants. They also negatively impact landlords, too. Neither party benefits from the eviction process. Tenants are tasked with the challenge of securing a new home. For landlords, the eviction process can take weeks or even months of time, cost and stress. It’s in the interest of both parties to avoid this outcome. Landlords who mishandle the eviction process may receive a countersuit, action that can bury your case into a deeper, more insipid legal quagmire. Landlords must take a proactive, measured approach to avoid this outcome. When I say proactive, what I mean is an approach that prevents evictions in the first place and that puts the risk in your favor. Create conditions in which the landlord-tenant relationship is healthy, open, honest and, most importantly, reciprocal. Remember — landlords are bound by their obligations as much as tenants are. Even though landlords own the property, they cannot take the law into their own hands. I’ve seen too many cases in which landlords have done precisely that. A proactive approach is one that manages the concerns of your tenant in a timely, reasonable manner. It’s an approach that reduces landlord-tenant tension. It’s also an approach that seeks to avoid a reactionary response. 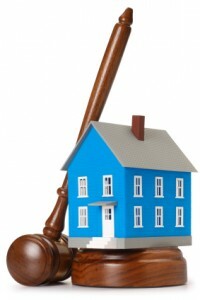 In many cases, evictions take place in unnecessary circumstances. Perhaps the tenant has a reasonable case for late rental payments. Perhaps landlords can adopt a more moral approach, one that seeks to understand and come to a sensible, long-term resolution that benefits both tenant and landlord. It doesn’t always have to result in eviction proceedings. Evictions should be avoided whenever possible. Evictions are, of course, the action of last resort — both tenant and landlord should come to that realization if a dispute, no matter how small, comes to the fore. It’s not always the fault of the tenant. Landlords should realize this and act accordingly. Of course, there are situations in which eviction proceedings are wholly unavoidable. Even then, though, landlords should reflect on how that situation has arisen. Landlords should ensure that their tenant is of the highest possible standard. Necessary background checks must be performed before leases are signed. It’s simply not enough to take a passive, distant attitude. It never works. But conducting those extra checks can, in the long term, save you weeks if not months of time, stress and cost by avoiding the eviction process. Invest the necessary time upfront, and it always pays off. Even when things go awry, landlords should think about how that situation has come to pass and what steps, if any, they can take to avoid the same situation developing in the future. Again, it’s often down to being proactive and tackling every potential source of tension and discord in the landlord-tenant relationship. 1. Landlords should guarantee that their tenant comes with the lowest possible risk. Conduct necessary, extra background checks. 2. Landlords should meet their obligations and ensure the landlord-tenant relationship is healthy, free from both hostility and tension. 3. Landlords should be flexible where necessary, seeking a long-term resolution for whatever the source of tension may be. In cases where all three strategies fail, eviction proceedings are unavoidable. In these circumstances, landlords should always conduct themselves in accordance with the relevant state and local legislation and the tenancy agreement – a professional approach that seeks to streamline the eviction process, while also protecting the landlord against potential counter suits. Some evictions are avoidable. By appreciating that fact for what it’s worth, landlords can do more to help their situation (and tenant) in both the short and the long term.